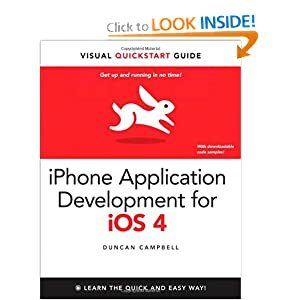 Visual QuickStart Guides, designed in an attractive tutorial and reference format, are the quickest, easiest, and most thorough way to learn applications, tasks, and technologies. The Visual QuickStart Guides are the smart choicethey guide the learner with a friendly and supportive approach. The visual presentation (with copious screenshots) and focused discussions by topic and tasks make learning a breeze and take you to exactly what you want to learn. With a rich set of over 1,000 APIs, iPhone SDK 4 provides an amazing range of technologies to enhance and create applications for the iPhone. This book focuses on the parts of the SDK that are specifically geared toward the iPhone. Everything is covered to create a complete application.